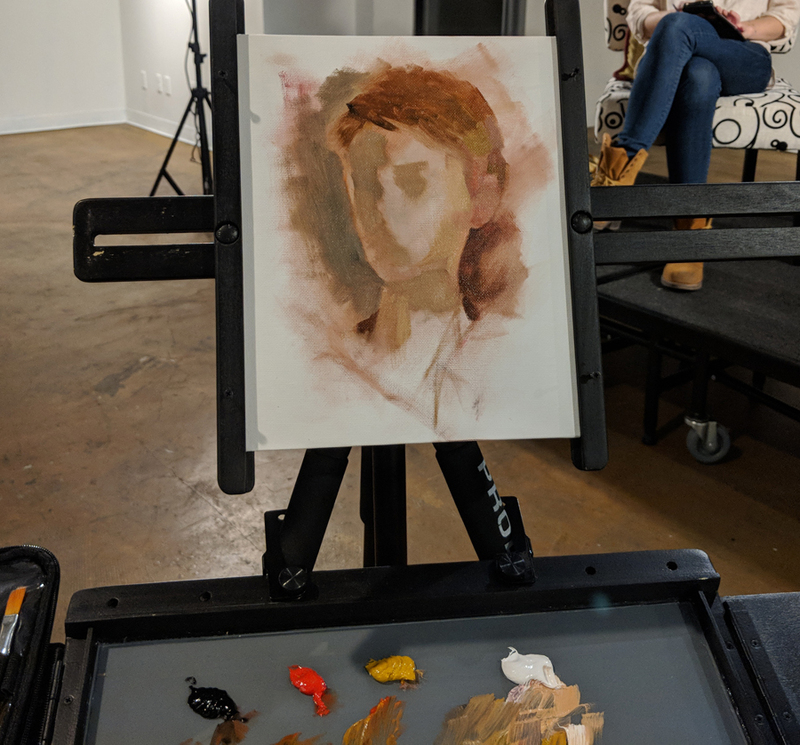 Friday morning painting from a live model is a nice break from studio work and great creative exercise. 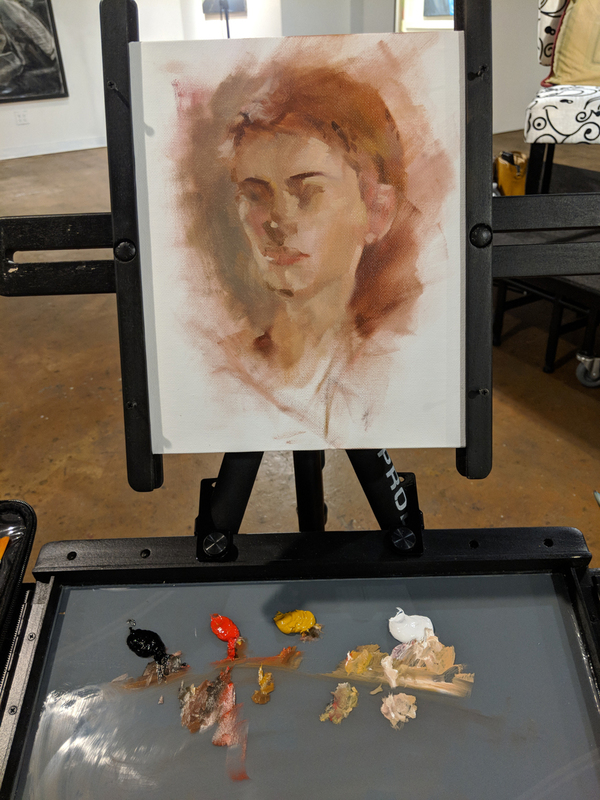 I started with a very loose block in and went with a limited palette of titanium white, ivory black, yellow ochre, and cadmium red, which is pretty close to that used by artist Anders Zorn. I made sure to keep the first stage very loose and not get bogged down in the details, and kept my warms and cool brushes separated.